Hubble Space Telescope has produced this beautiful image of the inner parts of the distant galaxy NGC 7252. The NASA/ESA Hubble Space Telescope has produced this beautiful image of the inner parts of the distant galaxy NGC 7252. This image shows the central regions of the peculiar galaxy NGC 7252. Image credit: NASA / ESA / Hubble / Judy Schmidt, http://www.geckzilla.com. NGC 7252, also known as LEDA 68612 or Arp 226, is a 12.7 magnitude peculiar galaxy in the constellation Aquarius. It is about 212 million light-years distant and almost 200,000 light years across. The galaxy has an odd nickname. In December 1953, President Eisenhower gave a speech that was dubbed Atoms for Peace. The theme was promoting nuclear power for peaceful purposes – a particularly hot topic at the time. This speech and the associated conference made waves in the scientific community and beyond to such an extent that NGC 7252 was named the Atoms for Peace galaxy. This nickname is quite ironic, as the galaxy’s past was anything but peaceful. Its peculiar appearance is the result of a collision between two similar gas-rich disc galaxies that took place about 600 million years ago, which ripped both galaxies apart. The loop-like outer structures, likely made up of dust and stars flung outwards by the crash, but recalling orbiting electrons in an atom, are partly responsible for the galaxy’s nickname. Researchers from the University of Helsinki and Edinburgh first to find the genetic material of a human virus from old human bones. 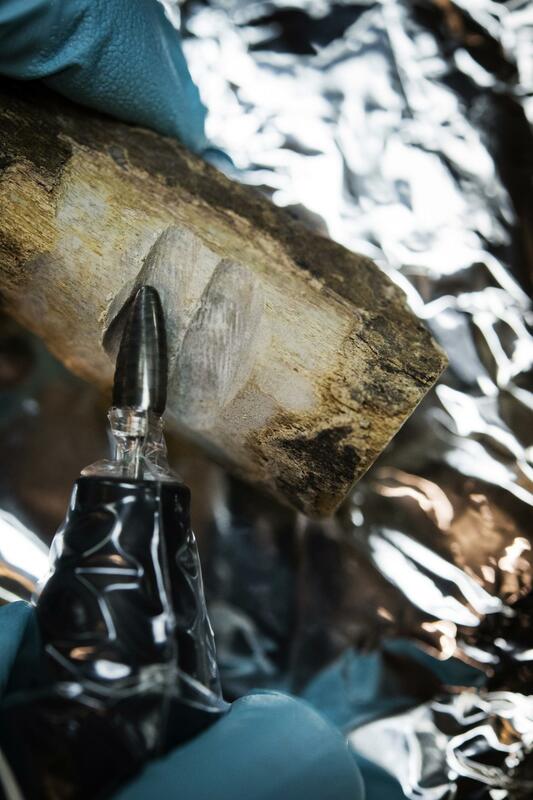 A group of researchers from the University of Helsinki and the University of Edinburgh have been the first to find the genetic material of a human virus from old human bones. Published in the journal Scientific Reports, the study analyzed the skeletal remains of Second World War casualties from the battlefields of Karelia. Upon infection, many viruses remain in the tissues and their DNA can be analyzed even decades thereafter. Although their genetic material has been found in many organs, the researchers show that viral DNA is also present in bone. “Human tissue is like a life-long archive that stores the fingerprint of the viruses that an individual has encountered during his or her lifetime,” describes Klaus Hedman, professor of clinical virology. 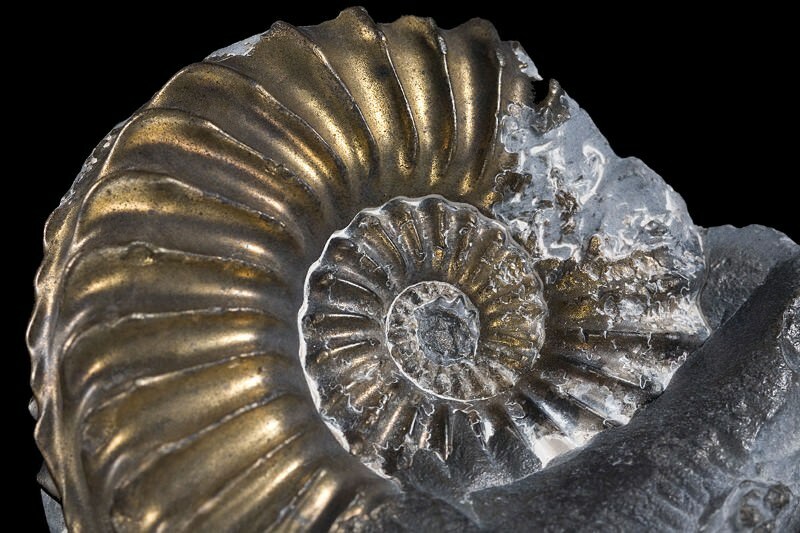 The finding has important implications since bone is most likely to be preserved after death, thus opening the door to the study of the viruses that caused infections in the past. In a publication in Scientific Reports, the researchers show that this is indeed the case. They document the presence of parvovirus DNA in the bones of Finnish World War II casualties who remained exposed to diverse climatic conditions in former Finnish, current Russian territory, until recent years when they were repatriated to their homeland. Obama beats global warming drums while NOAA admits 6 year cooling trend in the Antarctic and refuses to testify before Congress defying subpoena. Speaking at a United Nations “climate” summit in Paris, Obama blamed America for alleged man-made global warming and claimed that the nation embraces its responsibility to “do something” about the alleged problem. That “something,” of course, at least in the administration’s view, involves redistributing the wealth of embattled U.S. taxpayers to Third World governments and dictatorships for climate reparations, as well as shackling the American economy with draconian controls to reduce emissions of what serious scientists know as the “gas of life.” Sounding like a wannabe messiah, Obama even claimed that “we finally determined we would save our planet.” However, lawmakers in Congress and the American people have made clear that they neither believe in the increasingly discredited anthropogenic global-warming (AGW) theory nor in the alleged solutions to the supposed problem. Dictators and other heads of state have typically arrived at UN conferences toward the end of the show. This time, however, hoping desperately to secure a global “climate” agreement where past summits have failed, UN organizers decided Obama and other “world leaders” should show up at the start. Obama complied, spewing gargantuan amounts of CO2 and arriving in Paris to deliver various speeches hyping the AGW theory, along with illegal pledges to hand out your money. “I’ve come here personally, as the leader of the world’s largest economy and the second-largest emitter, to say that the United States of America not only recognizes our role in creating this problem, we embrace our responsibility to do something about it,” Obama claimed at the ongoing conference, which featured some 150 dictators and heads of government and state. Of course, Obama is not the “leader” of the “world’s largest economy.” His job description is to serve as the chief executive of the federal government, to faithfully execute the laws, and to uphold and defend the Constitution. His other claims were even more ludicrous. For instance, the notion that America recognizes its alleged role in creating the alleged problem could not be more wrong. According to a Pew survey released last year, just 40 percent of Americans even believe the increasingly discredited AGW theory. And without a doubt, far less than that would agree that the nation should shackle its economy and redistribute its wealth to Third World regimes under the guise of dealing with a problem that the overwhelming majority of Americans do not even believe exists. Barack Obama speaks at U.N. climate summit. While speaking at the United Nations on Tuesday, President Obama blamed the United States for global warming, even though there has been no global warming for nearly 18 years. While the administration insists global warming is a real threat, one professor issued a paper saying there has been no global warming for 19 years. Obama hyped action the United States has taken, touting moves taken against power companies in what has been described as a “war on coal.” According to the president, the United States has reduced its total “carbon pollution” by more than any other nation. Data collected by NOAA ocean buoys like this are at the heart of the dispute. Carolyn is a staff writer for Science and is the editor of the In Brief section. It’s getting hot in here. A dispute between the chairman of the U.S. House of Representatives Committee on Science, Space, and Technology and the National Oceanic and Atmospheric Administration (NOAA) over a climate change paper published this summer is escalating. The latest salvos include a second letter from Representative Lamar Smith (R–TX) to NOAA Administrator Kathryn Sullivan seeking internal communications and documents authored by NOAA employees and a letter from the American Meteorological Society condemning Smith’s demands and warning about its implications for all federally funded research. The quarrel began with a paper by NOAA scientists published 5 June in Science that revised historical atmosphere and ocean temperature data records found to have been poorly calibrated. In 2013 the Intergovernmental Panel on Climate Change had noted that the temperature data seemed to suggest that global warming had slowed down beginning around 1998. But the Science paper showed that apparent slowdown in global warming vanished when the data were corrected to account for various sources of bias. That paper immediately caught Smith’s attention, triggering multiple committee requests for data and methodologies related to the study. NOAA told the committee that the findings were already publicly available and met twice with committee staff to brief them on the results. But that response didn’t satisfy Smith. On 13 October, he subpoenaed all of NOAA’s internal emails related to the paper, asking for the information by 27 October. In response, the committee’s Democrats wrote to Smith on 23 October, noting that the subpoena “appears to be furthering a fishing expedition” and saying that it oversteps the committee’s bounds, as the paper is a research study and not a policy decision. House Republican leadership this year had given Smith the authority to issue subpoenas without the consent of the minority party. This fact is significant for two reasons: One, satellite temperature readings are the most comprehensive and thus the most accurate. And, two, the pause in warming since 1998 undercuts the entire global warming agenda of the environmental movement and its allies on the left who see in climate change an opportunity to impose greater government control over our lives. Yes, we’re skeptical of “climate change,” at least as defined by the green extremists. Climate is always changing. No one denies that. What’s at issue is how it’s changing and why. The science is still unclear. Earlier this year, National Oceanic and Atmospheric Administration (NOAA) scientists took part in a study that found — no surprise — that the “pause” in global warming from 1998 to 2013 didn’t exist. Their change didn’t come from actual temperature readings. It came from extensive data manipulation and tinkering. Instead of a pause, they found a surge. The National Oceanic and Atmospheric Administration is refusing to hand over its climate scientists’ emails to Rep. Lamar Smith. In the last few weeks NASA has revealed the overall amount of ice has increased at the Antarctic and the amount of sea ice has also extended. 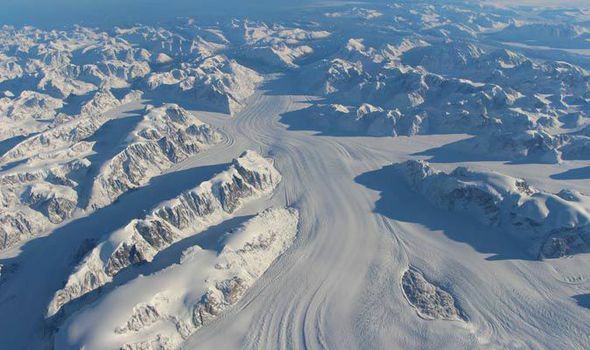 ANTARCTIC temperatures have cooled over the past six years, study finds. 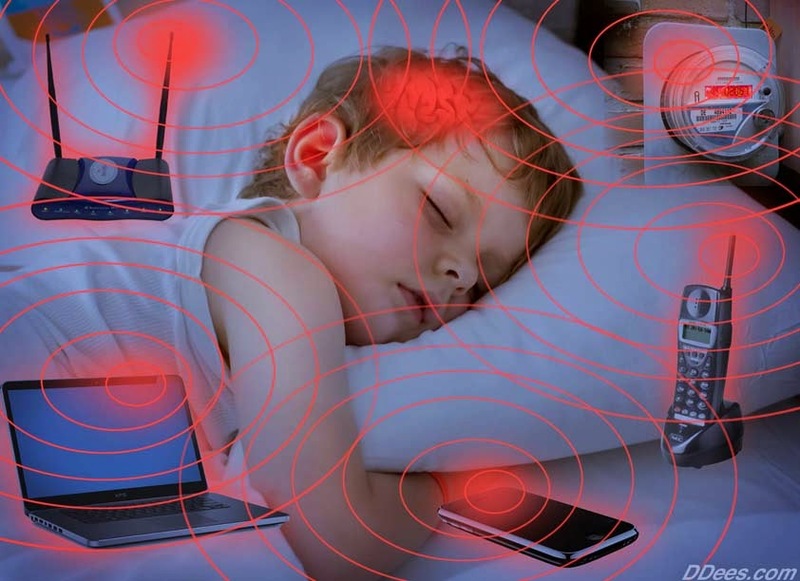 Finally, there’s documented medical proof that electromagnetic hypersensitivity is a real-time health issue that actually can be verified using standard medical procedures and testing capabilities. An international group of researchers aced it when they published their findings from the clinical study “Metabolic and Genetic Screening of Electromagnetic Hypersensitive Subjects as a Feasible Tool for Diagnostics and Intervention” in the November 2014 issue of Mediators of Inflammation. Pennsylvanians currently are being bombarded by non-thermal health problems from public utility companies’ electric, natural gas and water Smart Meters, which operate using microwave technology. Furthermore, the PA House Consumer Affairs Committee Chair Robert Godshall sits on Opt-Out Bills that will permit electrosensitive consumers and others to keep safe analog meters, which have been in use for decades. For the first time in the wild scientists claim to have observed a female chimpanzee caring for an infant with severe disabilities. A team of researchers from Japan’s Kyoto University studied a mother providing care for her daughter living in the Mahale Mountains National Park in Tanzania over a two-year period. The infant, known as XT11, was born at the park in 2011 and displayed symptoms resembling Down’s syndrome seen in other chimps in captivity. She lived for 23 months and researchers doubt she would have stayed alive for so long without the help and care of her mother and sister. “The observed infant exhibited symptoms resembling Down syndrome, similar to those reported previously for a captive chimpanzee,” researchers found in the study detailed in the international journal, Primates. Hmmmm Factor….. Did you think the genetically modified pig was gone? Think Again. Did you think the genetically modified pig was gone? It is true that Canada’s “Enviro Pig” was scrapped in 2012 after consumer backlash and lack of university funding. That vacancy mainly left genetically modified salmon in the running to become the very first commercial GM animal. But there are two new types of engineered pigs poised for approval in their respective countries. Now, with the secret Trans Pacific Partnership out in the open, it becomes clear that the deal opens the door for a swarm of global biotech ventures that can more easily glide their wares across country boundaries. Whereas Enviro Pig’s genetic splicing was supposedly intended to cut down on phosphorous waste that kills waterways, two more pigs are vying for public acceptance. It’s important to note that these animals aren’t “transgenic” like many of the GE crops on the market. That is, they do not contain genes from other species or kingdoms like bacteria. Biotech involves more than GMOs, and some methods currently fall outside of regulation or definition. However, we are still talking genetic engineering. Bruce Whitelaw and his colleagues at the University of Edinburgh are developing a pig resistant to African swine fever, a devastating disease with no vaccine or cure that has led to hundreds of pigs being slaughtered in Europe to prevent its spread. Jinsu Kim and his colleagues at Seoul National University have developed “double-muscle” pigs that produce twice as much muscle as a regular pig, resulting in higher protein, lower fat pork. Two kinds of genetically modified pigs are on their way to becoming pork on our dinner plates. If they do, they’ll be some of the very first genetically modified animals to enter our food system, along with genetically modified salmon that is also trying to gain regulatory approval. But consumers are wary and lack confidence in governments’ readiness to regulate this new class of food product, researchers and activists say. In both cases, researchers have precisely targeted an individual pig gene to create a mutation that turns up or turns down certain genes. 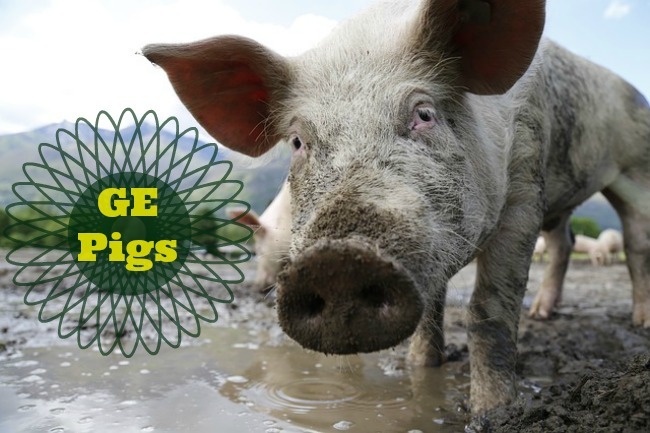 The African swine fever resistant pig has an immune gene that is slightly more like a warthog’s. The double-muscle pig has a mutation similar to one produced by normal breeding in a muscly cow breed called the Belgian blue. 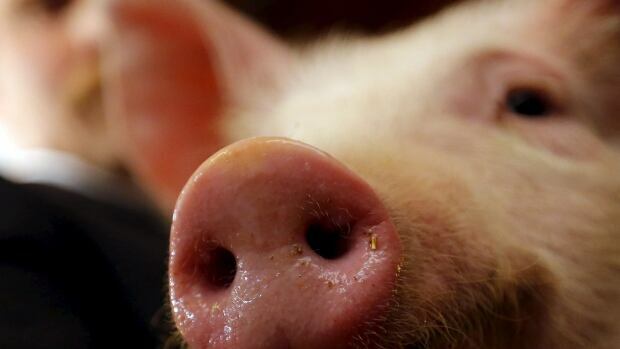 The pigs aren’t “transgenic” — that is, they don’t contain genes from other organisms. That makes them unlike some genetically modified crops already on the market, which may contain genes from organisms such as bacteria. The Guardian: Could these piglets become Britain’s first commercially viable GM animals?